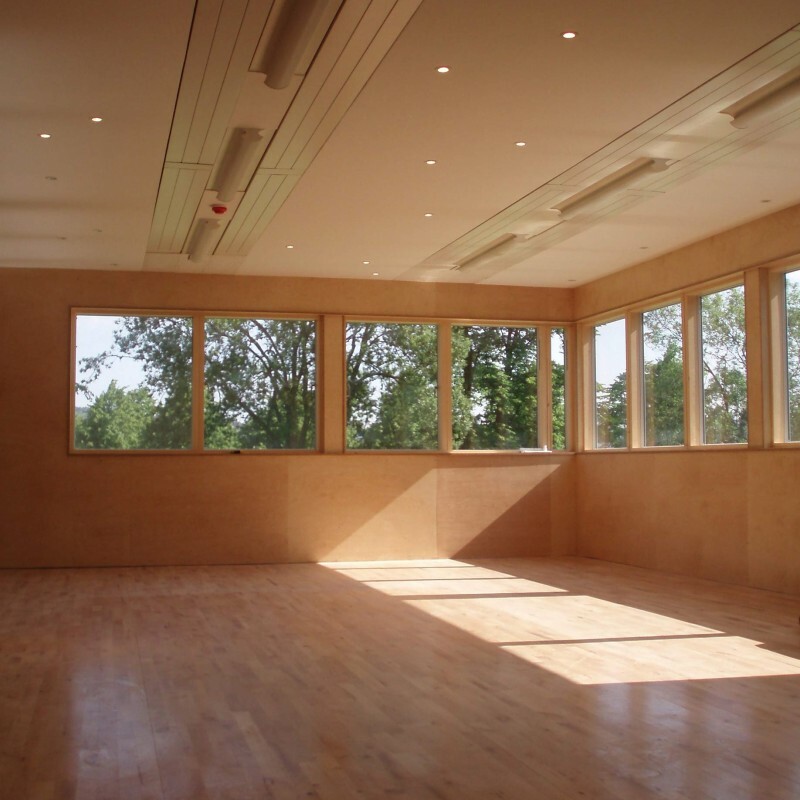 Based in a transformed North Sheffield heritage park, Hillsborough Park Pavilion is a contemporary re-interpretation of a traditional English building type; the sports pavilion. The pavilion provides a new icon for the rejuvenated park – which many people first catch sight of from the Supertram that glides past the park’s western edge. From the tram seat the playful striped green cladding immediately appears like a blur of foliage. Viewed from the opposite side of the park the two key volumes of the building become apparent. The green timber cladding acts as a camouflage, blurring the building with the parkland tree canopy, whilst the grey white of the second volume appears to float above the neat bowling greens and children’s play area. The building strikes a true balance between the reserved and considered needs of the bowlers. Formed by two interlocking rectangles, the pavilion is designed to capture views over the park and out to the hills beyond. It is open and contemporary with a series of French doors along the front facade, serious looking for national bowling tournaments but welcoming for other sports and leisure facilities. The interior is unusually light and both inside and outside it adds a colourful presence to the park. The Pavilion, developed on a tight budget, has a myriad of user groups and functions which belies its simple form. Whilst providing a state of the art facility for the successful Hillsborough Park Crown Green Bowling Club it also offers a base for other visitors to the park. The building strikes a true balance between the reserved and considered needs of the bowlers – represented in the white-grey box, but at the same time hinting at the new vibrancy of the rejuvenated park in its stripy demeanour. The upper level main hall offers raised views to two of the three bowling greens and functions as an indoor bowls facility and an income generator for the pavilion. Other additional provisions include changing and shower facilities for local sports teams and an education suite for school groups using the park as a study base.